Don’t know how it was forgotten on the website of all places, but look people, Strangers With Style made it into a magazine! What’s even better? 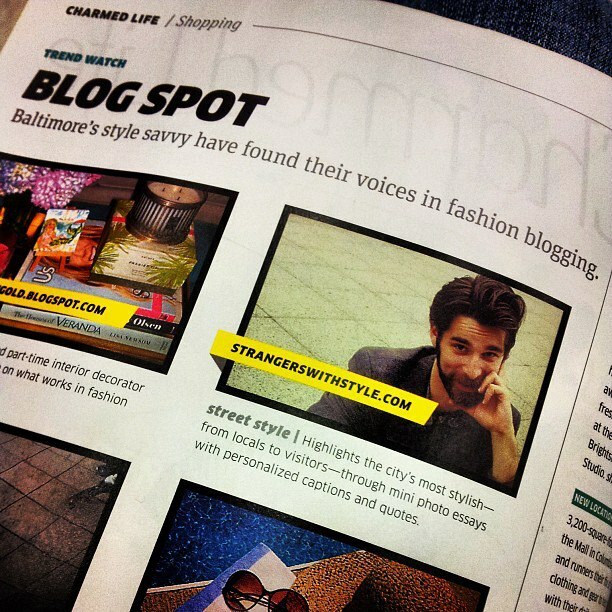 It’s in Baltimore magazine’s ‘Best of Baltimore‘ issue! And yes, the issue is out now! So if you are in town, pick up a copy, skip everything and go to page 116, and you’ll see a handsome face (one of the strangers I had the pleasure to meet) representing the blog. But, you should also check out the rest of the magazine. Great list of what’s top in Charm City. Good people, I can’t thank you all enough for your support. Let’s keep it going, shall we? Follow, like + share with friends, family, random strangers at bars –you know what to do. In a magazine, that’s what’s up.